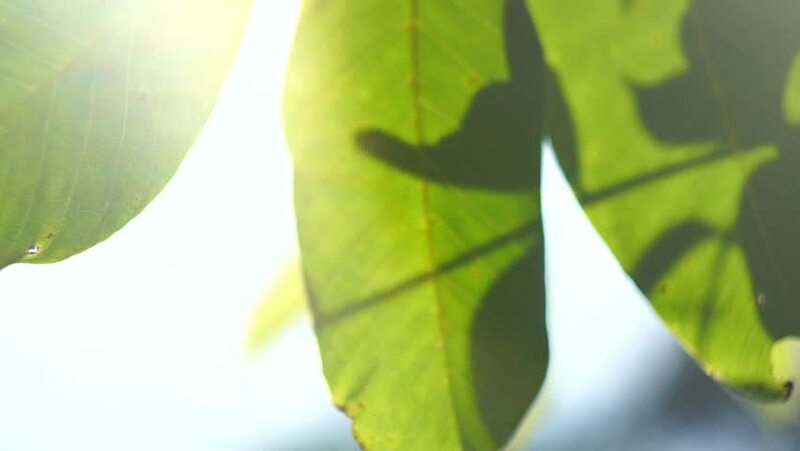 SLOW MOTION: Close up of fresh green walnut leaves gently swaying against sun at sunset. Shot with romantic soft focus and beautiful lens flares and light leaks. 4k00:27Minnow Mayfly insect on leaf. Baetidae family buy flying and walking on leaf. Buzzing aquatic flying insect landed on green tree.